Are you and your family moving to the Old Dominion? If so you’ve come to the right place. You already know that choosing the right mover is an essential part of the process, and Simonik Moving & Storage is here to guide you through every step along your journey. Our company has been providing customer-centric service to our families like yours since 1977, and today we continue to take pride in what we do as we help households moving from New Jersey to Virginia and beyond. We’re a BBB accredited company, which means that we meet some of the highest standards of business. 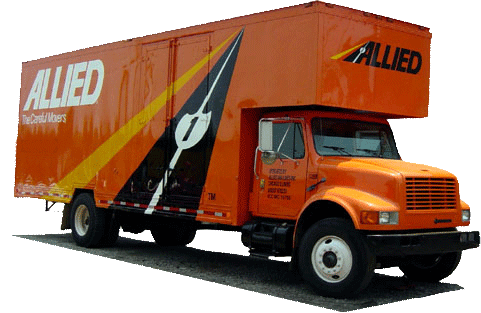 As an award-winning member of Allied Van Lines, we’re part of a vast network of quality moving professionals, here to handle all of your long-distance relocation needs. We provide short and long term storage for your household items. If you need some time before you move from NJ to VA, we can pack your items in shipping containers and keep them for you at our secure storage facility. Whenever you’re ready, whether it’s days, weeks, or months later, we can deliver them to your new home. We service households throughout North and Central New Jersey, including Hunterdon, Mercer, Middlesex, Monmouth, Morris, and Somerset counties. As a past recipient of the New Jersey Warehousemen & Movers Association’s ‘Mover of the Year’ award, you can be certain that your household is in great hands. We’re a certified ProMover with the American Moving and Storage Association, which means that we’re up to date on new moving practices and techniques for your long distance move from New Jersey to Virginia. Call our team of qualified movers when you’re ready to place all the hard work in the hands of the pros. Our trained and experienced moving staff will get you out of your old home and into your new one in record time, and with minimal effort on your part. Feel free to call us if you have any questions, or just fill out our online quote form for a free, no-obligation estimate.